Are some deeds too horrible to ever be forgiven, no matter the circumstances or how much time has passed? As we go through life, making choices and dealing with our present circumstances, how much does our past play a part, whether we realise it or not? Are we more than just the sum of our moments? Can we ever really ‘move on’? 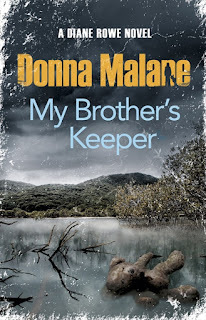 These questions, and other thought-provoking issues, bubble away beneath acclaimed TV screenwriter and producer Donna Malane’s sophomore crime novel, released this month. The follow-up to 2010’s Surrender, a very good debut which won the NZSA-Pindar Publishing Prize, My Brother’s Keeper sees the welcome return of the flawed yet compelling Diane Rowe, a missing persons’ expert who often finds both her professional and personal lives closely intertwined with the Police. Whether she likes it or not. After confronting her sister’s murder, and murderer, in Surrender, Rowe once again finds herself face to face with a killer in My Brother’s Keeper. But this time, it’s a killer asking for help. Recently released ex-con Karen comes to Diane, wanting her to use her skills to track down Karen’s 14-year-old daughter, Sunny, and check she’s okay. A simple task, perhaps, except that Sunny has spent the past few years trying to forget that her drug-addled mother was put in prison for unsuccessfully trying to kill her. Sunny survived; her little brother wasn’t so fortunate. From the beginning, Diane feels torn about taking the assignment, and her creeping sense of unease only grows as she uncovers more information. Is Sunny really in danger? Is Karen genuine about just wanting to check on Sunny’s safety before moving to an overseas religious commune? What does she really want with her estranged daughter? 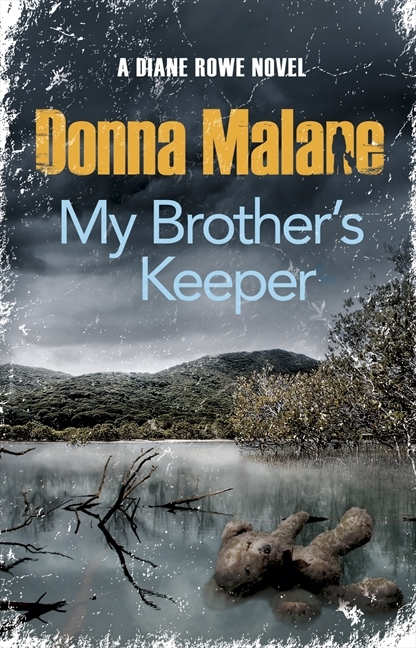 Unsurprisingly, for a screen storyteller with the pedigree of Malane (Duggan, The Strip, The Insider’s Guide to Happiness, Until Proven Innocent, Tangiwhai: A Love Story), the plotting and pacing of My Brother’s Keeper is excellent. But Malane is not just a ‘sight and sound’ storyteller with a great ‘eye’ for visuals and action; where Malane’s prose really shines is in the creation and portrayal of Diane, her outer and inner worlds. Diane is a fascinating ‘heroine’, a fully rounded person who makes mistakes and is far from perfect. Just perfectly human. We can easily empathise with Diane, even if we don’t always agree with her and what she ends up doing. She intrigues, baffles, even frustrates. Repeatedly shifting between Wellington and Auckland, My Brother’s Keeper twists on itself several times, keeping the reader guessing as it builds to a finale where past and present collide. Reviewer-style words like ‘gripping’ and ‘intriguing’ would be easy to use, but let’s keep it simple: if you’re a crime fiction fan, this is well worth a read. This review was first published in the 7 February 2013 issue of NZLawyer magazine, and is reprinted here with permission.